Hopefully, you are all well. 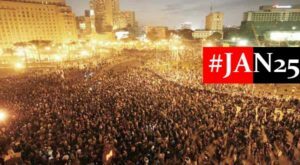 The third anniversary of Egypt’s revolutionary uprising has coming upon us – you may find the below recent analysis and commentary in CNN, Al-Monitor, Al-Arabiya, the National, and Mada Masr useful. Comments and feedback as always are appreciated. Ordinarily, you would not receive an email within two weeks of the last one – this more frequent mailing is owing to the anniversary.